It’s one of his most moving performances, perhaps because it’s so undemonstrative; both voice and music play hushed, as in the crypt, struck glad by the awe of unquestioned worship, a quiet church organ, bass drum as heartbeat four years ahead of “I’m Not In Love.” He is an old sea cap’n, coming back from maybe decades of sailing with no expressed intent; he knows he’ll miss the free-blown life but he’s missing something more, a home which may have changed beyond recognition throughout the time he’s been away. As the song gradually opens up, we realise that he’s not the only one cognisant of the homecoming; his whole crew are approaching the dock, and there is a crowd waiting, their faces formerly “long and drawn,” now more exhausted than glad to see their other halves returning, for good – or perhaps there is some dread mixed in? Never gave up hope? Are they home from the wars? And, if so, how many wars have they known, how many unspeakable darknesses have they witnessed? But the singer never overdoes anything; the chorus is almost whispered in closeted, or cloistered, harmonies. It is a song about coming home which skilfully avoids the question of what kind of home they are coming back to. Perhaps there was a Vietnam subtext in there somewhere, but “Home Lovin’ Man,” the song, never played in the States; it was written specially for Williams by three of the period’s top British songwriters, Roger Cook, Roger Greenaway and Tony Macaulay, and was a substantial hit single in Britain (#7) over the Christmas of 1970. Moreover, it has scarcely surfaced in any form outside of Europe; Home Lovin’ Man, the album, does not exist outside Britain – there was in America an equivalent LP, Love Story, with an identical cover, typography and track listing, but with a different title track – “Where Do I Begin?,” one of Williams’ most drainingly passionate performances, was in our top ten while this album was at number one (there was a subsequent UK album entitled Love Story but this story can do without further tangles). Broadly speaking, however, Home Lovin’ Man is about someone, a little out of his own time, attempting to come to terms with the world, and the concept of “home,” which 1971 seemed to present to him. Side one is largely agreeable listening; the sailor home from the sea attempting to re-establish relationships, or form new ones. “Your Song” was a very early recognition of Elton John, although the drift of Williams’ version is far gentler, less markedly troubled; the “sat on the roof” verse concerning itself with the mechanics of songwriting is omitted, and instead we are presented with a man – whose phrasing and general, intimidated reticence remind me, and not for the last time on this album, of George Michael – simply wanting to say how good it was to have another human being in this world, the electric piano acting as his destined featherbed. He tries one-night stands, but these don’t work either; Kris Kristofferson’s “For The Good Times” is the sober sequel to “Help Me Make It Through The Night” – OK, so it’s morning, now what do we do, with the shrugged shoulders, paused cigarette puffs, polite dressings which that sort of thing entails – and Williams pitches the song as though wanting to go back to sleep, possibly forever; the glockenspiel represents the raindrops, the close harmonies, trumpet and strings seek to soothe a wrecked soul. Whereas Perry Como’s more famous version two years hence has an air of resigned regret honed by years of hurting experience, Williams sounds genuinely heartbroken; by the time the song fades, he disappears into the mirrors of his own indistinct murmurs. The song’s harmonies are subtly simplified – anything to null the pain which he can’t quite pin down; after all, isn’t he back at home, where he had always wanted to be? – as are those of “Something.” Artie Butler’s arrangement is surprisingly reminiscent of Oliver Nelson (cf. “Stolen Moments”) or the Gil Evans of “Bilbao Song,” but Williams is still searching to identify what that “something” is supposed to be; the final “know” of his “I don’t know”s in the second middle eight vanishes into a vertiginous pond of echo, and the whole song seems to sidle to a halt before reluctantly starting up again. Williams’ voice works up to a high C which hangs on like the last feather of a chaffinch trying to avoid the eagle’s talons. In his careful, tranced humming of the song's central melody line, however, he is at least striving for a peace. “It’s Impossible,” Perry Como’s big comeback hit of the period, begins, like most of these tracks, with an intimation of wanting to be “Wichita Lineman” – that definitive song about being as far from home, or humanity, as possible – but Williams’ reading is far more intimate. The “cosy, laidback hipness” of the 1971 lounge is intact – these are Lena’s words, and she detected a kinship with late period Stereolab (e.g. Cobra And Phases Group Play Voltage In The Milky Night) in Butler’s charts. Still, even in this expression of hangdog happiness, Williams sounds troubled; his extended “soul” in the second “sell my very soul” makes you wonder whether he will, indeed, regret selling it, and Butler’s deliberately ambiguous harmonic ending to the song is a marked, stark contrast to the happy end credits of Como’s version. But Williams rallies, realises that this is now his life, and his “We’ve Only Just Begun,” despite the sitar, buckles with regained confidence. The choral arrangement is aptly airy, the “fly”s as free as the Free Design. Then, via another moment of suspended animation – which way will he turn? What will he decide? – the bass leads a settling down into evening; the lights dim, Keith Mansfield’s “Life Of Leisure” appears on the horizon, and, rolling up a key, Williams finally approaches, and embraces, comfort and contentment. Home – it’s the place we’ve all been aiming for, and he is now there, reached, retrieved, saved. Or is he? Side two indicates that the stir might be driving him a little crazy. “I Think I Love You” has to be sung by a panting, self-doubting, barely out of puberty David Cassidy; despite Butler’s inventive touches – the clavinet burps and bass clarinet farts underscoring the middle eight – Williams sounds, all of a sudden, clumsy, clinging, something less than reassuring. The situation scarcely changes with his redundant reading of Dawn’s odious “Candida”; although not approaching, or descending to, Tony Orlando’s dirty old neighbour persona, there is little Williams can do to redeem such a ridiculous song (“The-eee first pri-iiiize,” the girl next door reduced to fairground attraction level), and his attempts are nevertheless buried by the “Young New Mexican Puppeteer” trumpets. Williams isn’t playing “happy” very well. Finally, and quite astoundingly, he finds himself in exactly the same place as Harrison. The A-list studio players do their best to replicate the bear-like whine of Harrison’s slides but Williams is already looking for something beyond “home”; he sounds immensely concentrated, and convinced, here. He takes his time, waiting for the vision to unfold, and as the drums appear over the horizon and the Choir of the Wee Kirk o’ the Valley, Reseda, California, materialise to provide the hallelujahs, his soul, his commitment, becomes steadily more and more intense. The tension lies in whether the choir will go for the Krishnas, and eventually, after an elongated tease, they do; the song, the belief, gathers in spirit and radiance, its landed sailor now knowing that to come home isn’t in itself enough, that, unlike Johnson’s trawler tourist, who, seeing Ginnie waiting for him on the midnight quay, decides more in desperation than joy that he’ll give life one more chance, he has to rebuild his home, has to rediscover and reanimate all those things he once threw in the ocean. To love his home, he has to relearn the art of loving himself. Although it was nearing the end of its nine-year run, The Andy Williams Show was probably at its peak of popularity in Britain during the 1970-1 season. Aired early evening on Mondays on BBC1, it was colourful and “wacky” without being remotely radical. It was comfortable and cosy but had one foot firmly planted in modernism, or at least 1970 households’ idea of Formica modernism. There was the Cookie Bear, there were the nascent Osmond Brothers, there was postmodern wholesomeness, and although I watched it every week and rather enjoyed it I can’t remember a single second of it now. Maybe the memory was sufficient – “making brand new melodies/into grand old memories…” as Williams puts it in his handwritten sleevenote to this compilation. Although only five of the twelve tracks on Greatest Hits were actually hits of any stature in Britain, the compilation became Williams’ biggest seller here; it remained on our lists for well over two years, and its inherent patience was rewarded by the fact that it took eight months to climb to the top, in time for Christmas. As a listening experience it has the same bipolarity as the Ray Conniff collection, and is pretty steadfastly divided into its two sides. Unlike His Orchestra…, the striking qualitative difference between sides one and two cannot be ascribed to time alone; there are old and (comparatively) new Williams tracks on both. Their only unifying factor is that they were all recorded in the sixties, but this certainly would not be the seventies’ last glance back at an unreachable past. Yet there is little to say, and much numbness to drift towards, when it comes to the sterile performances on side one. “Born Free” comes from 1967 – and it’s a pity that the closing track on side one of the Born Free album, Gaudio and Crewe’s Coke soundtrack “Music To Watch Girls By,” doesn’t appear here – and direly seems to predict Williams’ intention to turn questioning newness into stifling oldness. The John Barry tune is fatally simplified, harmonically, especially in its crucial middle eight; here we do not think of natural freedom in terms of lions in Africa – Barry’s subtle kwela tints are entirely absent - or a displaced Bond but The Parallax View, a neutered skating rink of Republican yea-saying, a pledge for Nixon to be re-elected. Its subsequent use as a Rush Limbaugh jingle was surely inevitable. The same principle of Andy Williams the Singing Steam Iron, carefully straightening out any creases, complexities or pain from otherwise great songs, continues throughout “Days Of Wine And Roses” and “Moon River,” but perhaps that is to be expected, given the rather offensive neutrality of the songs’ parent films; Jack Lemmon, Lee Remick and Charles Bickford all give superb performances in the film of Days; if only director Blake Edwards had been able to see them as living people rather than ciphers, pre-emptive fodder for “Issue Of The Week” dysfunctional TV movie prototypes. The Mercer/Mancini tune – and the lyric consists of just two long sentences – is perhaps a little sentimental but knowledgeable of its own hurting limitations; the “golden smile that introduced me to…” is a sinister portent of the drug that will render all of the film’s main characters useless. Typically Williams’ reading ruins itself with the ghastly block chord choir, the tick-tock harp arpeggios and the singer’s extended final vowels which can’t quite seem to find the surface of the water (“introduced me tooooo…,” “Roooooo-ses,” “and-youuuuuu”). I sense no real grasp of pain or poignancy. Equally, Danny Williams’ “Moon River,” a deserved UK number one single towards the end of 1961, is so easily superior a reading to Williams’; the dreams of the hopeful South African immigrant encapsulated in a vowel-hugging, hoarseness-containing vocal which uncannily resembles a young Horace Andy. This Andy, however, directs no emotional input into his performance – and again the song is over-simplified harmonically (it should bend with the word “bend,” but the subtlety of the blues chord which supplements the bend is lost). Robert Mersey’s overamplified choir should have been struck dumb and the song doesn’t so much end as totter to a premature, undecided fade. Again I expect Mark Twain would have guffawed at Mercer and Mancini’s perceived sentimentality but the song is strong and touching enough to overcome that boundary. Williams, however, sings it in the manner of a grinning bellboy, so perhaps it was a fitting complement to the grossly bland disservice that the film of Breakfast At Tiffany’s – directed by Blake Edwards; do you detect a pattern here? - does to Capote’s uglier, less easily resolvable source story (Audrey Hepburn, a natural introvert driven into portraying an extrovert, looks as puritanically lost here as she would go on to look in My Fair Lady). The rest of side one disappears into mushy blandness. “Dear Heart” comes from a long-forgotten 1964 comedy of the same name starring Glenn Ford and Geraldine Page – every director’s last choices for comedy leads? – set at a postmasters’ convention (it was 1964). The celeste strikes up a melancholy waltz and we are indeed immersed in the world of audio valium. Williams speaks of loneliness (“A single room, a table for one”) without the listener ever feeling that the singer has understood the concept (Sinatra’s 1957 reading of Bernstein’s “It’s A Lonely Town” knocks it for twelve). Worse, his characteristic hiccup – an Iowa Alma Cogan? – already sounds contrived, as when he attempts to weep on the “dear” of the song’s title, not to mention its “heart” and a subsequent “kiss.” They will be reunited, of course, but in the time of Walker’s ‘Til The Band Comes In (where, unlike this side of music, the listener is never allowed to forget that there’s a war on) it sounds disingenuous and dated. Williams’ “Hawaiian Wedding” goes off uneventfully on a cushion of 101 Strings cascades and while the arrangement begins in a gratifyingly sparse manner, the numbing choir quickly returns to drown out any intimacy. There is of course a wow of pedal steel at song’s end to remind us that Williams is not singing of Iceland. “More”’s arrangement is livelier, in a “Move Over Darling” way with ringing tympani and stern snare drums but Williams comes over as hysterical, in all the wrong ways (“Will be INNNNN your keeping!”) and the over-the-top ending justifies a title of the Velvet Steamroller. This is the real soundtrack for Mad Men, pretences at sophistication without real bite or genuine aspiration. All of which makes the transformation which occurs on side two of Greatest Hits more astounding. “Almost There,” taken from another forgettable comedy, I’d Rather Be Rich, in which Williams himself co-starred with Sandra Dee, made number two in our charts in a time of serious upheaval (“Satisfaction,” “My Generation,” “Like A Rolling Stone,” “Eve Of Destruction” etc.) and its reassurance was clearly needed, as a respite if nothing else. Still, Williams treats Jerry Keller’s song with something like real commitment; his “warm caress” sounds onomatopoeic. Strings slide in and up (Mersey’s arrangement here is far more subtle than those on side one), and Williams’ pleading penultimate “close (your eyes)” is touching (and instantly answered by a French horn). He makes a graceful descent with his final “Al-all-mo-ost-there” and for once we feel that he means it. “Can’t Take My Eyes Off You” I have previously discussed in the context of his album Love, Andy, but here its most noticeable factor, as with all of the other tracks on side two, is that the backing singers (when there are any) are set well back in the mix, and the sonic picture makes far more structural and emotional sense (even if Williams’ politesse remains a white balance to Valli’s thundering gusto). With “Charade” he returns to the Mercer/Mancini movie theme forest; the film was an insubstantial Hitchcock pastiche through which Audrey Hepburn and Cary Grant gamely keep their multiple countenances, but Williams’ performance is again humane and involved (despite Mersey’s absurd accordion). The chill of the first syllable of his “children posing” puts him but a heartbeat away from Scott Walker; indeed the entire performance would not have been out of place on either of Walker’s first two albums. There is a lovely, lone moment at the end of the song where Williams climbs to a bereaved high sustenato, and the orchestra works to join him at his peak, before the song sadly settles (after Williams’ voice has fallen away, as in off the edge of a cliff) for a Picardy third and a final guitar curlicue. “Happy Heart,” the most recent track on the album, can’t help but be uplifting, with its Neighbours piano, its unexpected pedal steel bedspring erections, its emphatic tom-tom panoramas and, above all, Williams’ unalloyed, uncompromised joy, heightened by the fantastic stop-start climax of each chorus where the whole world finally seems to blossom to his beckoning; the song was written by James Last, with English lyrics by the Canadian entertainer Jackie Rae, and thoroughly sums up Last’s euphoric bierkeller hoedown philosophy as well as pointing the way towards Barry Manilow with its endless “la-la” choruses. Williams sounds so giddy at his new-found union that he has to take care not to teeter off the tightrope, but then again he finds he can fly. Pomus and Shuman’s “Can’t Get Used To Losing You” made number two in the immediate pre-Beatle British charts of 1963 (the parent album, with perhaps the least appropriate cover of any album, was entitled Can’t Get Used To Losing You And Other Requests), and deservedly so, since it was quite unlike any of the other glum white American pop ballads of the period; the record works because of the unorthodox space of its arrangement, the chunky guitar and pizzicato string unisons carrying the song’s weight while simultaneously suggesting reggae (so no wonder that The Beat’s 1980 recording of the song, remixed in 1983 to become their biggest British hit single, represented so natural an evolution). The loneliness of the Brian Hyland kiss-sealing runner is immediately summoned – those ominous siren harmonies – but there is something more disturbing going on here; Williams’ vocal is double-tracked, as though talking to himself, since no one else will since his Other has gone away and he himself plainly cannot speak to anyone else – is he really ringing up the same girl every day and remaining speechless? His descending “dayyyyyyy” sounds weary, frustrated; the “crowded avenue” is a mournful over-the-shoulder glance at “Some Enchanted Evening”; the song is the record’s loneliest and emptiest. Finally, the song with which Williams ended his TV show every week, “May Each Day,” and also the most moving performance on the album; the harp arpeggios are back from “Days Of Wine And Roses” but here are gentle and organic rather than tacked on. Like New Morning, the album ends with a benediction from above; like the White Album, it closes with a lullaby. But there is something extremely affecting about the utter lack of side in Williams’ performance of the song; he knows that happiness is impermanent – his rueful passages from weeks to months, the foreknowledge of tears, and therefore death – but is intensely intent on making happiness and love as permanent as is humanly possible. His climactic “LIFE” sounds like his soul being ripped apart; his closing “good night” a high, angelic plea for understanding, a blanket of real comfort – the song originally came out in 1965, when there was unavoidably a war going on (just as there was in the 1970 of “Ohio”), but seems to say: sleep well, America, sleep well, everywhere – we can all get through this, we’ll congratulate ourselves on yet another day, and what’s more it’ll be as lovely a day, every day, as the one you and I shared today; and I cannot argue with someone who unaccountably strikes so closely at the truth. Indeed, as this confused year of 1970 draws to a close, we do get the feeling with side two of Greatest Hits that this is, to all intents and purposes, home, the home for which the rest of 1970 has been pining; think of Fogerty on his porch, Dylan with his wife and kids – and don’t worry, people at large; this might have seemed a weird and disorientating year, but there is still Andy, there is still stability, and it is Christmas; settle down and hibernate, for you will not recognise spring when it reappears, and be all the more grateful for the startling new colours it unveils. Look at that expression, and try to figure it out. On first sight he looks contented, satisfied; that Self Portrait was a mere diversion, a kid-on, here I am back again, this time for some serious business. But there is a knittedness to his brow, as indissoluble and intangible as the fine cut of his jacket. This isn’t quite a return to where I was, he is warning; this might even present greater challenges than what I’ve already laid down before you. New Morning was an early example of what has in rock criticspeak become known as the phenomenon “a stunning return to form.” That is to say – more often than not - a reassuring retreat to an artist’s best recognised mannerisms, some crumbs of formula to toss towards an anxiously impatient audience. Everyone drew gulps of canyon-sized relief when the album came out; OK, Bob, we knew you were only fooling around with those four crazy sides in the summer. Everyone called it a classic until the mist cleared from their eyes and they were presented with a Dylan who still wasn’t quite giving them what they wanted, despite the return of the whine, the harmonica and even Al Kooper. On the rear cover a young Dylan, curling his lip in an attempt to be Elvis, is standing beside an approving Victoria Spivey – he contributed some harmonica to a 1962 collaboration on record between Spivey and Big Joe Williams – looking as though he already has the blues licked, now that he has its approval. The studio pictures included in the CD edition could easily come from 1962, too, although Dylan and his band are clearly enjoying themselves. “If Not For You” starts the record, along with knitting needle drums, childlike glockenspiel and a brightly-spun David Bromberg guitar line. He is singing about relief and salvation but sounds a little too desperate for comfort – Olivia Newton-John had her first major international hit a few months later with her smiling and very uncomplicated reading of the song, and we will be returning to it in the form of another less quizzical version in a couple of entries’ time – snarling at times (“Wait FORRRR the morning light!”), generally hoarse to the point of losing reason altogether; his “Without your love” is as exhausted as the average Beckett protagonist. “Anyway,” he almost shrugs the whole song off, “it wouldn’t ring true.” The song’s direction is open; he could be singing about a lover, or a child, or to God, but he sounds as though clutching straws of reed in order to breathe; he sings about a falling sky, gathering rain, springless winters and an abandoned soul deaf to the song of the robin – hardly a sunny welcome back to his listeners. “Day Of The Locusts” is an advancement of the old Dylan talking blues template; commencing with stentorian piano (played by Dylan – I can’t think of too many other Dylan albums where the piano, especially his own, is so prominent) joined by judgmental drums and organ. He’s at Princeton, reluctantly, to accept an honorary degree (“I put down my robe, I picked up my diploma”); after hellish visions of exploding heads, dark tombs filled with judges, he is enlightened and elevated only by the strange hum of locusts – he makes their “sang” sound like “stings,” and the bass drum instantly kicks back. As he and his sweetheart retreat to the black hills of Dakota (“Sure was glad to get out of there alive”) his tone becomes more euphoric, the piano and drums more ringing and celebratory (a great performance from Russ Kunkel and/or Billy Mundi at the drumkit). “Time Passes Slowly” begins with a McCartney piano staccato figure (“Penny Lane” etc.) before turning into a delicate piano and drums waltz; there’s a lovely chord change (E to D) after the first “time passes slowly” and guitar and dobro intertwine like lovers, but it’s unclear whether Dylan is simply contemplating the simple, peaceful life or lamenting its absence; “Once I had a sweetheart” he remarks, and elsewhere he concludes, not exhausted but conclusive, “Ain’t no reason to go anywhere.” “We stare straight ahead and try so hard to stay right” – these could almost be the ghosts of former lovers which haunt Walker’s “Always Coming Back To You.” The song, as with many on the album, seems to break up organically; the record frequently carries the air of not quite finished demos. “Went To See The Gypsy” bases itself on a very closely knit pattern of low register piano, bass, organ and drums. Like the hapless boy in Joyce’s “Araby,” he is seeking something, or someone, fundamentally unattainable; Dylan’s delivery, however, is deliciously deadpan (“I said it back to him,” “Bring you through the mirror”) as he encounters the “gypsy” in his “big hotel” with his dark room and low lights; the references to the dancing girl and Las Vegas – the music audibly squeals with relief at the couplet “He did it in Las Vegas/And he can do it here” – suggest Elvis, although the shadow might well be Hendrix, he of the Band of Gypsys. In any case, the return visit finds the expected emptiness, and instead of nirvana, Dylan finds himself back where he started – “that little Minnesota town.” The music, however, treats the return with tickertape as Bromberg’s lead guitar speeds the song up to boogie tempo. “Winterlude” is a lovely petit parlour waltz, where Dylan returns to his “crooner” voice – as his most recent entry in this tale (at the time of writing) will demonstrate, he has never really abandoned it – with light and funny lyrics; the invitation to “go down to the chapel/Then come back and cook up a meal,” the various “dude” rhymes (“don’t be rude”), balanced with the simple plaintiveness of “thinks you’re fine” and the references to angles and fire logs. Snowflakes cover the sand; winter is coming and not for the first or last time on this record; the subtly mixed female backing vocals bring Leonard Cohen to mind. The music is glossy, swimming, guitar dovetailing into dobro and piano. The whiteout is bringing unexpected comfort. Side one, however, concludes with the record’s, and possibly Dylan’s, least typical track – and “If Dogs Run Free” sprints with languorous liberation. Kooper hammers out an intro on piano before he and the rhythm section settle into a Teddy Wilson-derived blues. Dylan ponders on human freedom, unanticipated leaks of Wordsworthian grandeur (“Oh, winds which rush my tale to thee”) and the placid conclusion that “true love needs no company” in a double-bluff throwaway manner which invents Tom Waits. But what really catches the ear is what backing singer Maeretha Stewart is doing behind him; as Kooper’s piano nags at the upper register like a hyperactive Westie, Stewart does some ebullient bebop scatting which soon goes rather further out, in both rhythm and tonality. As the band wriggles out of Dylan’s “and that is ALL!,” Stewart gurgles and yelps as though auditioning to replace Leon Thomas in Pharaoh Sanders’ group. It was the lightest and most applauded track on the album. We keep coming back to lightness; much of New Morning was improvised on the spot, and Dylan himself has tended to dismiss it as semi-directed hackwork. Some of it, however, came out of shells of songs which Dylan had planned for Scratch, Archibald MacLeish’s doomed musical version of The Devil And Daniel Webster, and the title track was one of these. Guitar and drums, again, are bright in the most welcoming of ways, but the organ which hovers dangerously underneath the song’s slightly regretful bridge (and Dylan’s somewhat foreboding“automobile”) – like Mr Scratch lurking, ready to make sure Webster keeps his part of the bargain – suggests escape from unspoken menace. Kooper’s organ galumphs and hisses over Dylan’s first “sky blue” and there’s a terrific crescendo of guitar, organ and drums at his “When you’re with me” which naturally leads to Kooper’s calming French horn (you can always get what you want?). There is real ecstasy in Dylan’s disbelieving “So happy just to be alive/Underneath that SKY of BLUE!,” the emotion of which is quite overwhelming in its hoarsely passionate assurance. Wake up on brilliant days, indeed, ones which even the Devil can’t haunt. Rubato piano introduces “Sign On The Window” and we move straight into gospel; Dylan sings of a couple heading to California, becoming disillusioned (“Brighton girls are like the moon”), then settling for a cabin in Utah. The signs whose content Dylan proclaims are as absent of humanity as any of the signs in the Village (“Lonely,” “No Company Allowed,” “Y’Don’t Own Me,” “Three’s A Crowd” – it tells its own profound story) but something in him is determined to ensure that it will work, no matter how lowly the circumstances; the sublime and completely unexpected shift to E major after “Looks like a-nuthin’ but rain” practically demands that you hope, succeeded by a contrasting, harmonically ambiguous dobro, guitar and backing vocals sequence; he says he’ll settle for the cabin, a wife and kids – “That must be what it’s all about,” he says to himself twice, convincing himself that it is, and by the way he hangs on the vowels of his extended “sleeeee-ee-eep,” he is probably convinced. New Morning is an adult record – “Sign On The Window” might be the first non-stage musical/MoR song in this tale to speak explicitly of families – and was not designed for those still wishing the adolescent atomisations of his younger days; “One More Weekend” is a straightforward hangdog blues workout, Kooper’s piano sliding exactly “like a weasel on the run,” about the joys of getting away from the kids for just one weekend. Bromberg responds with a strong, groaning, quivering guitar performance, like Hubert Sumlin transposed to Nashville; the mood is definitely upward. But then we come to “The Man In Me,” one of the album’s briefest yet deepest meditations. Dylan’s absent-minded “la la la” intro is bewitching in itself, especially when going into call and response with the backing singers and Kooper’s Morse code organ, but the song’s processional is solemn, midtempo, rather like “The Weight,” although he is clearly happy (“From my toes up to my ears”) despite the storm clouds raging all around his door; he knows how close he’s come to giving it all up but now nothing could be further from his mind. “He (as in “Man”) doesn’t want to turn into some machine” he proclaims (see also Stevie Wonder’s recently discussed “Never Had A Dream Come True”), but there’s a rare beauty in his invocation of Oklahoma! – “But oh what a wonderful feeling” – as he recognises how much she’s saved him. “Took a woman like you/To get through to the man in me,” he sings in quiet awe as Kooper hushes his organ to shades of ethereality, and I am reminded of Marvin Sapp’s recent, barnstorming “The Best In Me” (from Sapp’s album Here I Am, the strongest gospel album in some time) where he spends seven minutes singing to his Lord of the same thing, the same nature, in gradually unfolding petals of euphoria. The joy is universal, shared, and godly. “Three Angels” takes three bums, or maybe it’s just three scruffy musicians he notes on the street, and elevates them into holiness. The tempo is slow, R&B ballad 6/8; Dylan talks most of the song, Kooper’s organ is awaiting ordination, he sings of bright orange dresses, U-Haul trailers, the Tenth Avenue bus, wonders “But does anyone hear the music they play? Does anyone even try?” Beside him, the chorus and song have gradually gathered strength; the awesome chord change on “Does anyone even try?” blossoms, shockingly, into a sequence of hard, stately rhythm and choirs which seems to want to segue into “Atom Heart Mother.” As with the rest of this album, nothing much seems to happen, but no one notices angels when they are right next to them. The struggle of New Morning finally comes down to the old American conflict; the glory of the bounty of their land, mixed with the suspicion that something else must be happening – this can’t all be for our benefit? – that there is something, someone, higher and more powerful. 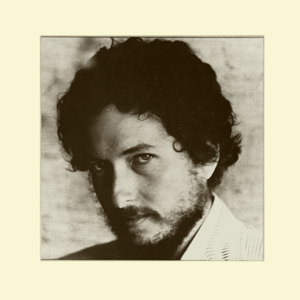 Dylan doesn’t offer answers – he is Dylan, for heaven’s sake – but simply concludes the record with a reconfiguration of Amidah, the central prayer of the Jewish litany, with Dylan at the piano, accompanied by his backing singers (together providing a great three-chord/three-note leitmotif), knowing that this is not the place to describe the indescribable but merely setting out his path, some nine years ahead of Slow Train Coming. New Morning is a friendly record, certainly, but it’s also a heavily guarded one and in its implications perhaps invites more radical recasting than anything attempted in Self Portrait. “Father, who turneth the rivers and streams” – if not, it might be concluded, for Him.